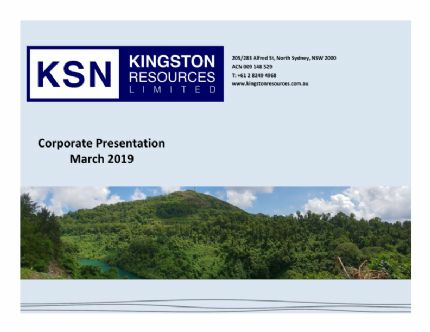 Kingston Resources Limited (ASX:KSN) advises that the Corporate Presentation released to the market on 12 March 2019 has been relodged with additional information provided on Slide 16 "Peer Comparison". Kingston Resources Limited (ASX:KSN) is pleased to report that a recent LiDAR survey has confirmed the location of a large stockpile of gold mineralised material at our Misima Gold Project in PNG. This near-surface stockpile is not accounted for in the current 2.8Moz gold resource at Misima. 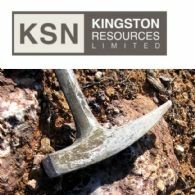 Kingston Resources Limited (ASX:KSN) submit their report for the half year ended 31 December 2018. Kingston Resources Limited (ASX:KSN) wishes to advise of the following management changes at its flagship Misima Gold Project in PNG. Kingston Resources Limited (ASX:KSN) provides the Company&apos;s latest Corporate Presentation. Kingston Resources Limited (ASX:KSN) is pleased to report the results of further exploration drilling at its flagship 2.8Moz Misima Gold Project in PNG. Kingston Resources Limited (ASX:KSN) provides the Company&apos;s Quarterly Activities Report for the quarter ending 31 December 2018. Kingston Resources Limited (ASX:KSN) is pleased to announce that drilling has recommenced at the flagship 2.8 Moz Au Misima Gold Project in Papua New Guinea post the Christmas break. Kingston Resources Limited (ASX:KSN) is pleased to announce further high-grade gold assays in surface geochemistry at the Company&apos;s Misima Gold Project (KSN 70%). Kingston Resources Limited (ASX:KSN) is pleased to report that it has increased its land holding at its 75%-owned Livingstone Gold Project in Western Australia to 377 km2, with a recent tenement application. 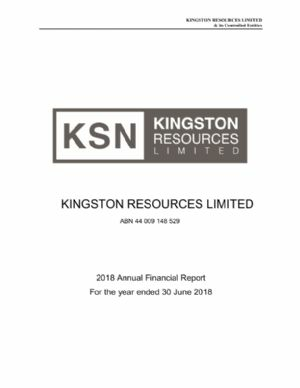 Kingston Resources Limited (ASX:KSN) provide the 2018 AGM Presentation. Kingston Resources Limited (&apos;Kingston&apos; &apos;the Company&apos;) (ASX:KSN) is pleased to report an outstanding assay result from drilling at the 70%-owned Misima Gold Project, PNG. Kingston Resources Limited (ASX:KSN) is pleased to report more outstanding assays from drilling at the 75%-owned Livingstone Gold Project, WA. 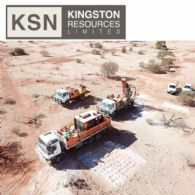 Kingston Resources Limited (ASX:KSN) is pleased to provide an update on its September quarter activities. The quarter saw the completion of the Joint Venture earn-in at Misima with the Company now holding 70% of the project. 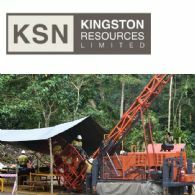 Kingston Resources Limited (ASX:KSN) is pleased to provide an exploration update with further assays expanding the newly discovered Ginamwamwa prospect, drilling progress within the Umuna resource and completion of the aerial Lidar survey over Misima at the 70% owned Misima Gold Project in Papua New Guinea. Kingston Resources Limited (ASX:KSN) is pleased to report new assays from follow-up drilling at the 75% owned Livingstone Gold Project in Western Australia. Kingston Resources Limited (ASX:KSN) is pleased to provide an update on its ongoing regional exploration activities at the Company&apos;s flagship 2.8Moz Misima Gold Project in Papua New Guinea. Kingston Resources Limited (ASX:KSN) is pleased to report auger results from ongoing regional exploration at its flagship Misima Gold Project in PNG. Kingston Resources Limited (ASX:KSN) is pleased to announce it has completed the expenditure requirements to increase its ownership of the 2.8Moz Misima Gold Project from 49% to 70%. 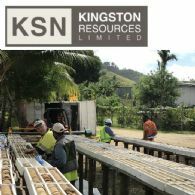 The Directors present their report together with the financial report of the Consolidated Entity, being Kingston Resources Limited (ASX:KSN) and its subsidiaries, for the financial year ended 30 June 2018 and the independent auditor&apos;s report thereon. Kingston Resources Limited (ASX:KSN) is pleased to announce that drilling has resumed at the Livingstone Gold Project, northwest of Meekatharra in Western Australia. 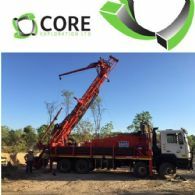 Contractors mobilised to site last week and commenced drilling up to 9,000m of RC and air-core holes intended to extend and infill mineralisation identified in the previous round of reconnaissance drilling. Kingston Resources Limited (ASX:KSN) is pleased to announce it has successfully completed the sale of its Northern Territory lithium assets. The $1,800,000 sale consideration has now been received by Kingston. Kingston Resources Limited (ASX:KSN) is pleased to report assay results from the first two diamond holes at the Company&apos;s flagship 2.8Moz Misima Gold Project in Papua New Guinea. The assays are the first results from an extensive exploration drilling campaign, the first undertaken at the project in almost 20 years. Kingston Resources Limited (ASX:KSN) is pleased to report final assay results from the recently completed air-core drilling at the 75% owned Livingstone Gold Project in Western Australia. Kingston Resources Limited (ASX:KSN) is pleased to report encouraging exploration results from the Ginamwamwa Prospect, located south of the Umuna Pit at the Company&apos;s flagship Misima Gold Project. 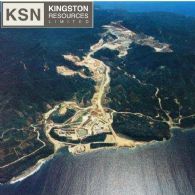 Kingston Resources Limited (ASX:KSN) is pleased to provide an update on its June quarter activities. Kingston Resources Limited (ASX:KSN) provides the Company&apos;s latest Investor Presentation at Noosa Mining Conference, July 2018. Kingston Resources Limited (ASX:KSN) is pleased to announce the following changes to the board and management. Kingston Resources Limited (ASX:KSN) advises that it has agreed terms for the sale of its Bynoe and Arunta Northern Territory lithium tenements held by two of Kingston&apos;s subsidiaries to Lithium Plus Pty Ltd for $1.8 million in cash. Kingston Resources Limited (ASX:KSN) is pleased to advise that preliminary assays have now been received for the first round of reconnaissance drilling in the Livingstone&apos;s Find area. This air-core drilling program, the first in the area for more than 20 years, was co-funded by the WA Government&apos;s Exploration Incentive Scheme. Kingston Resources Limited (ASX:KSN) is pleased to announce that it has agreed the sale of its Mt Cattlin lithium tenements to Galaxy Resources Limited (ASX:GXY). The transaction is now complete, Kingston will receive $600,000 for the sale, paid 50% cash and 50% Galaxy shares. 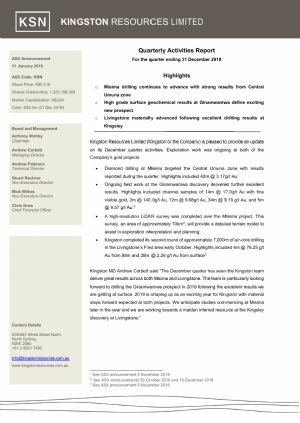 Kingston Resources Limited (ASX:KSN) is pleased to provide an update on drilling progress at the Misima Gold Project. The major diamond drilling campaign is targeting extensions to the existing 2.8Moz gold resource and drill-testing of newly discovered exploration targets at Umuna East Side. Kingston Resources Limited (ASX:KSN) is pleased to advise that it has been successful in its application for participation in the Federal Government&apos;s Exploration Development Incentive (EDI) Scheme for the 2017 tax year. Kingston Resources Limited (ASX:KSN) is pleased to announce that drilling has commenced at the Misima Gold Project. The major diamond drilling campaign is targeting extensions to the existing 2.8Moz gold resource and drill-testing of newly discovered exploration targets at Umuna East Side. Kingston anticipates drilling 10,000m this year. Kingston Resources Limited (ASX:KSN) provides the Company&apos;s latest Presentation. Kingston Resources Limited (ASX:KSN) had a very active March quarter as it prepares for drilling at both the Misima Gold Project and the Livingstone Gold Project. Mobilisation for drilling at Misima is now well underway with all equipment and consumables scheduled to arrive on the island later this month with drilling commencing shortly thereafter. Kingston Resources Limited (ASX:KSN) is pleased to advise that drilling is set to commence on the Livingstone Gold Project, situated in the Bryah Basin northwest of Meekatharra in Western Australia. The Livingstone Gold Project hosts a 50koz gold resource as well as a number of gold anomalies, with over 30km of prospective geological strike on the southern edge of the Bryah Basin. Liontown Resources (ASX:LTR), Core Exploration Limited (ASX:CXO) and Kingston Resources Limited (ASX:KSN) are pleased to advise a collaborative approach to undertake a major, jointly funded airborne geophysical survey across the Bynoe/Finniss Pegmatite Field located near Darwin in the Northern Territory.